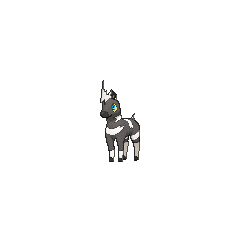 Blitzle in game: 8,812 Who? Important notice! Pokemon Blitzle is a fictional character of humans. 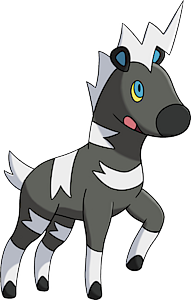 Blitzle (Japanese: ??? 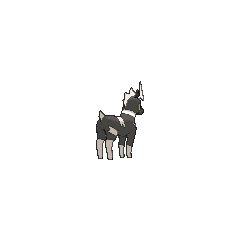 Shimama) is an Electric-type Pokémon introduced in Generation V.
Blitzle made its debut appearance in Oshawott's Lost Scalchop! under the ownership of Stephan. 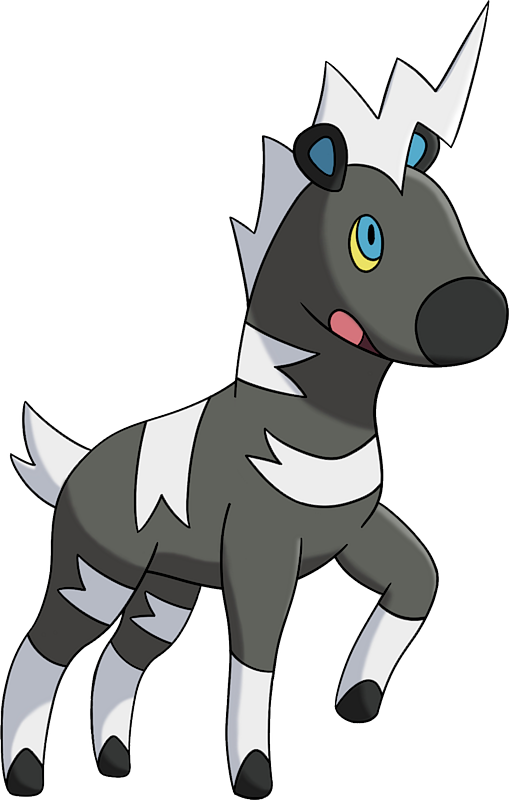 It battled against Ash's Oshawott and caused him to lose his scalchop. They later had a rematch where it was defeated. A Blitzle appeared in White—Victini and Zekrom and Black—Victini and Reshiram under the ownership of Luisa. Multiple Blitzle appeared in The Lonely Deino! under the care of a Day Care owner named Bobby. Blitzle has made cameo appearances in Lost at the Stamp Rally!, The Mighty Accelguard to the Rescue!, Stopping the Rage of Legends! Part 1, Battling the Bully!, Cilan Takes Flight!, Climbing the Tower of Success!, The Clubsplosion Begins!, Clash of the Connoisseurs!, Crisis at the Ferroseed Research!, Rocking at the Virbank Gym! Part 1, and All for the Love of Meloetta!. A photo of a Blitzle appeared in The Four Seasons of Sawsbuck!. Multiple Blitzle appeared in Team Eevee and the Pokémon Rescue Squad! where they were in a ranch in Virgil's house. A Hiker named Andy uses a Blitzle during his Triple Battle with Black. However, it was defeated after Andy became dehydrated. 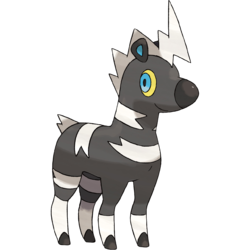 Elesa has a Zebstrika that she has owned since she was young and it was a Blitzle. Shimama is a corruption of ???? shimauma (zebra). Mandarin Chinese ??? / ??? Banbanma From ?? banma.